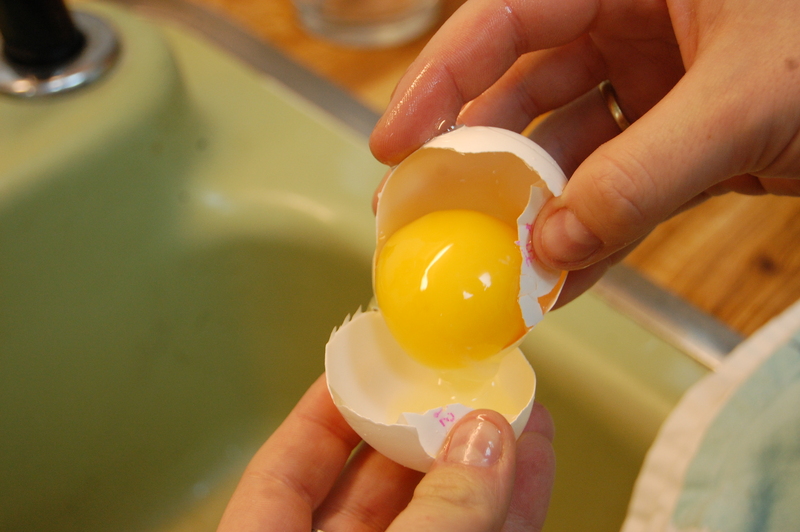 Separate egg into whites and yolks, discarding the whites. If you want to use a vanilla bean, it makes it extra yummy. Cut along the sides and scoop out the beans. Whisk cream, egg yolks, sugar, and vanilla extract together in a bowl. Mix until creamy. Pour mixture into remekins. 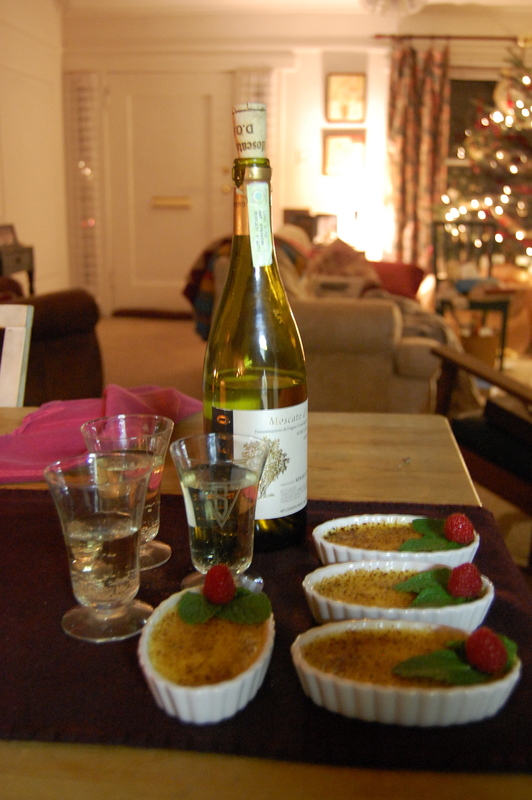 Place ramekins in a baking pan. Fill baking pan with hot water about half way up sides of ramekins. Place pan with ramekins in oven for 45 minutes – 1 hour. 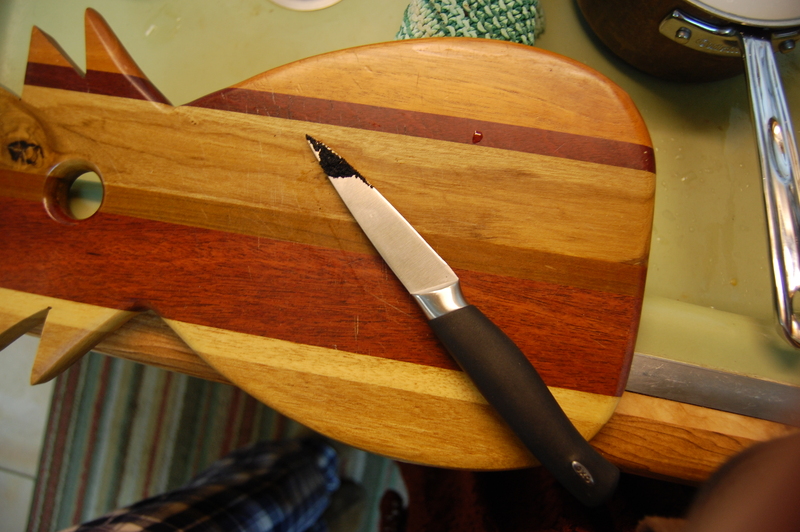 (after 45 minutes, check every 10 minutes), they are done after a knife comes out clean. 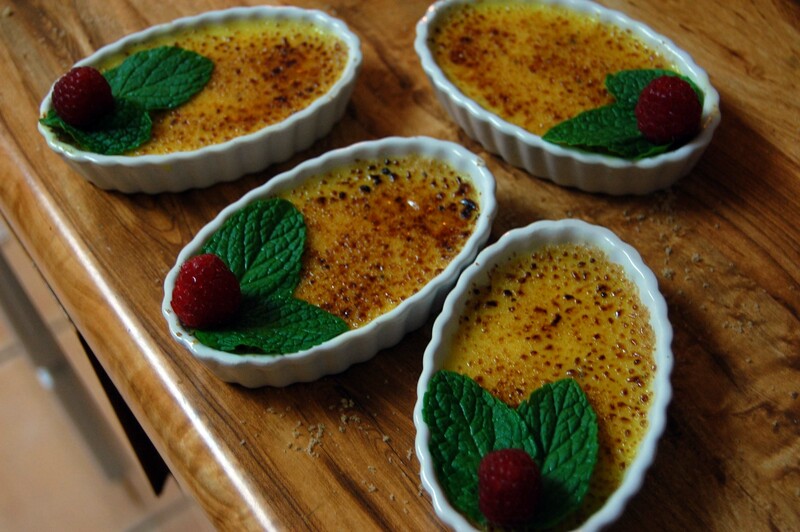 Remove ramekins from baking pan and let cool for 15 minutes. Put ramekins in refrigerator and chill over night. 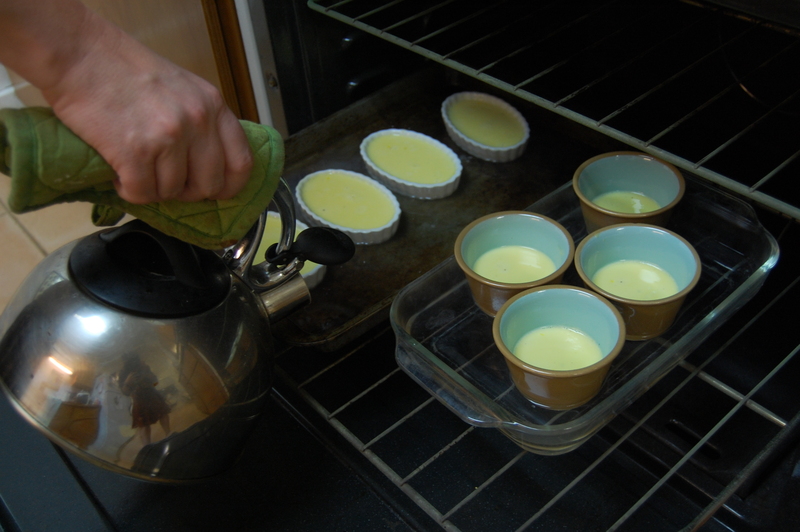 Sprinkle THIN layer of brown sugar on top of each ramekin making sure it completely covers the custard. 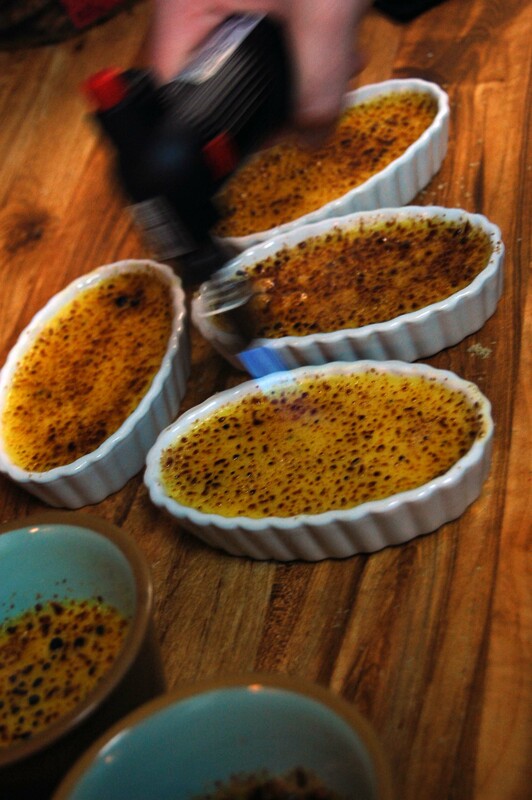 Torch each ramekin’s top until brown sugar is caramelized, making small circular motions with the torch so nothing gets burnt. 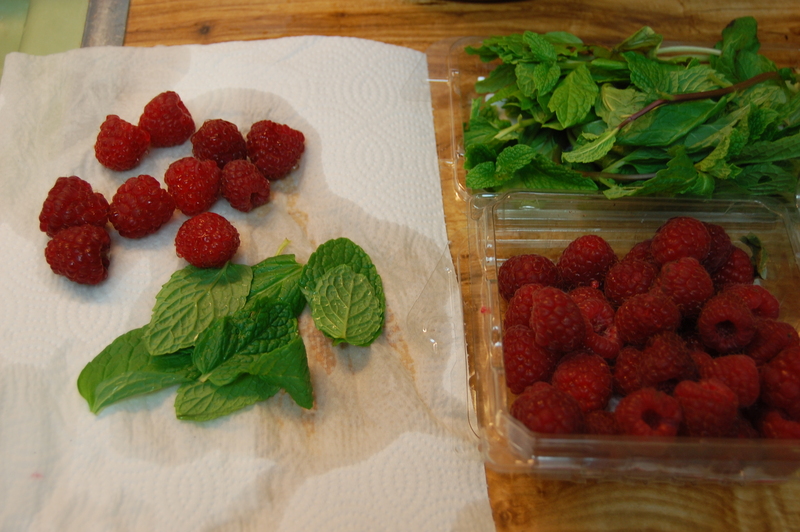 Add mint and raspberry for garnish! This makes a lot of custard so make sure you have extra containers that have a large surface area but are short like the ramekins as backup. Makes a nice lunch snack the day or two afterwards.